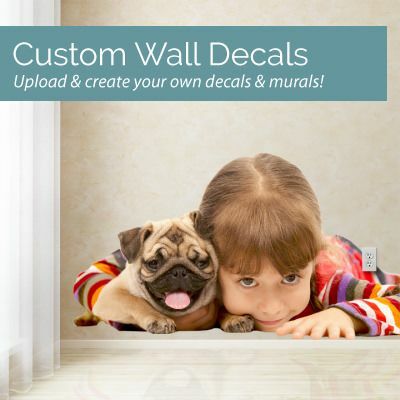 Our printed wall decals are made with the highest quality materials! We use the finest equipment around and the best inks available to ensure quality that is second to none. We can even create custom printed decals and murals from your high resolution images, in just about any size! We also offer high quality custom canvases! 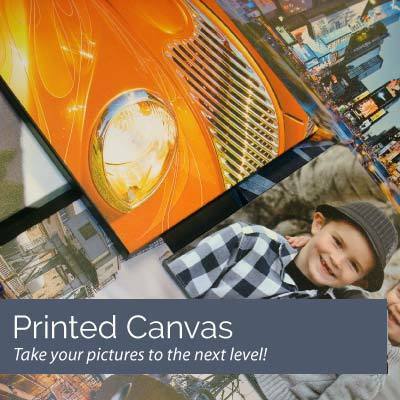 We can make your canvas right from your own high resolution image, or you can select one of ours! Either way, our custom printed and stretched canvases will be a beautiful and vibrant addition to your space, and can be made in just about any size you like. Dali Wood Prints are an awesome way to create one-of-a-kind custom pieces of art that will last a lifetime. They are a great way to showcase your photos and graphic designs. 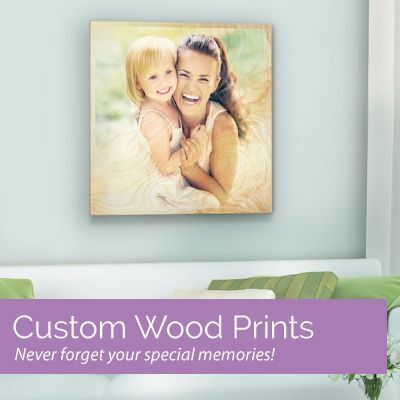 Utilizing the finest quality woods available, we directly print your photos or graphic design creations onto wood. They are super easy to hang, and you can even transfer them to a new location! Modern Mosaics are a new, innovative way to decorate your space! Just think, now you can have tile on virtually any wall imaginable, but without the mess, hassle and most importantly, the expense of real tile! 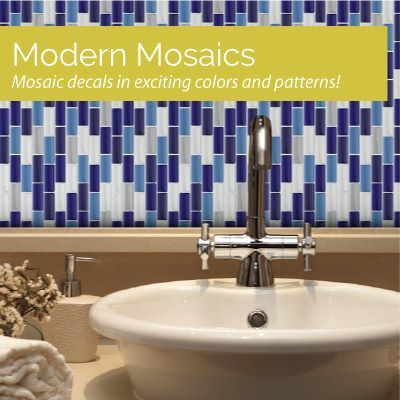 Modern Mosaics look real, and are available in a variety of pre-designed colors! There really isn't a way to fully tell you how impressed I have been with Dali Decals, other than to tell you that this shop and its customer service reps go above and beyond the call of happy customer service. Not only would I be happy to do business with Dali Decals again but I would fully recommend them to everyone. I worked with Alicia on 3 personalised quotes. She was wonderful to work with. We exchanged a number of emails to get exactly what I wanted. My decals look wonderful this little addition in my rooms makes such a big difference people comment about it all the time. Thank you Alicia.